Previous research suggests that TPCs constructively aid teaching and students' individual learning processes in the K-12 classroom environment and beyond. And sure, there are plenty of mobile apps that aim to assist the teacher/learner in practically any given subject. The infographic below demonstrates what you can do with the iPad in the classroom and also suggests related applications that support seven typical classroom activities (show, manage, assess, interact, access, make, and learn). You can download a PDF version of the above infographic which includes hyperlinks to referenced websites/apps here and a 6-page version + large 24-page version for printing. Despite the abundance of education apps and, arguably, large numbers of tech-savvy students out there, what's the level of acceptance (i.e. the positive adoption decision to employ a technological innovation by users) for classroom based TPCs amongst teachers? That's an important, but so far little researched, question to ask since the success of introducing any innovation (technological or otherwise) in a formal education setting is dependent upon it being adopted by the relevant decision makers (teachers). Dirk Ifenthaler and Volker Schweinbenz took it upon themselves to find out about teachers' behavioural intentions concerning the adoption of TPCs as an integral part of their classroom routine. They utilised the Unified-Theory-of-Acceptance-and-Use-of-Technology model (UTAUT) and interviewed 18 German school teachers from the school district of Mannheim in Germany. For a diagrammatic overview of the UTAUT model see here. All respondents utilise TCPs in the classroom to different levels of intensity and purpose (some were for specific project use only; some were for the support of physically disabled students). 37 questions were asked in semi-structured interviews including "do you use the iPad to prepare lessons? "; "what benefits do you see in the iPad compared to Notebooks? "; "do you expect that learning to operate the iPad for teaching purposes will be easy for you? "; "does your school have the necessary resources to use the iPad in the classroom? "; "what is your attitude towards the use of the iPads?". The interview results show that the teachers had varying degrees of personal-usage expertise of TPCs; none had any substantial usage experience within the teaching context of the classroom. However, the majority of interviewees were open-minded towards the use of TPC for learning despite the fact that some degree of scepticism was voiced. For example, one respondent noted that "in the context of learning and instruction I am quite critical about the use of TPC...My concern is that the iPads, in most cases, just replace the computer room...and iPads are very expensive....Another respondent felt that TPCs are useful for project specific application rather than generic classroom use. Lack of experience and knowledge about the availability of educational applications were seen as the main reasons of uncertainty toward TCPs. Reliable facilitating conditions (technical infrastructure/support) and guidance for appropriate TCP applications were seen as very important: a designed concept, which integrates TPC applications into subject content and the school curriculum, is most desirable. With regard to the potential for improving students’ learning outcomes through the introduction of TPCs, respondents’ perceptions were mixed. The majority of teachers perceive the iPad as a means to increase learning motivation and even reintegrate students who otherwise tend to switch off during normal classes. Others feel that only limited positive change can be affected as students’ intellectual ability is seen to be independent from TCP introduction. In addition, a minority think that the use of TCP will improve learning and instruction (Ifenthaler and Schweinbenz, 2013: 529-532). All the same, the teachers’ opinions above should be considered with caution as they are based on “assumptions rather than on secure knowledge and experience” (Ifenthaler and Schweinbenz, 2013: 532). Despite its statistical limitations, this case study indicates that the successful adoption of TCPs in teaching and learning is closely intertwined with the level of enthusiasm and classroom integration (actual use) displayed by teachers. Perhaps, such enthusiasm may be produced if an adequate support infrastructure is in place, which in turn facilitates a constructivist approach through high-level technology use. information technology: Toward a unified view. MIS Quarterly, 27(3), 425–478. and implications for educational institutions. Educational Technology and Society, 14(2), 58–70. Technological Pedagogical Content Knowledge. 2013. TPACK. [ONLINE] Available at: http://tpack.org/. [Accessed 24 April 13]. TPACK is a framework that identifies the knowledge teachers need to teach effectively with technology. The TPACK framework extends Shulman’s idea of Pedagogical Content Knowledge. Rogers, Kipp D, 2011. Mobile Learning Devices. 1st ed. Bloomington, IN: Solution Tree. 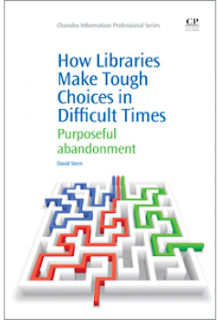 Most libraries are probably all too familiar with having to make tough choices. Budget cut-backs and staff reductions typically force service reviews and decisions that we may otherwise never have made. However, David Stern asks if we are in fact making the most of these “difficult times” we so frequently find ourselves in. Many organisations will re-engineer processes and try to streamline services to increase efficiencies and cut costs. However the core suite of services and functions of the organisation often remain largely the same. Instead, Stern suggests that a more “transformational evaluation and redesign” for our services may be called for – “abandoning” less important operations even if they are traditionally associated with the library, and enhancing those that are the key sources of value to our users. This may sound radical to some, but Stern certainly has a point when he argues “justifying budgets to simply maintain the status quo will not be as successful as offering better services with the same budget”. Perhaps this is the entrepreneurial spirit that we as librarians must now try to embrace? In the same way that Brian Matthews asked us to "think like a start-up", Stern's idea forces us to re-evaluate some of our most fundamental philosophies. Indeed, this kind of transformation requires a full-scale organisational review, which is the primary focus of the book. Around a third of the book is taken up with various analysis techniques that can be used in the review process, including Project Management, Interest based Problem Solving for identifying hidden causal factors, and Service Quality Improvement. Stern also advises managers to decide on and be clear about their endpoints and desired outcomes from the very start, and to communicate these intentions to all staff, emphasising the ongoing nature of the review and quality process. His primary decision framework for assigning resources is both simple and memorable: Do (at the highest level), Delegate, Delay and Drop (“purposeful abandonment”). Drop sounds unfortunate, but may be necessary if we are serious about reshaping our services in a sustainable way over the longer term. The chapter on utilising data is particularly helpful for those who may not be particularly willing statisticians. The pragmatic and practical advice highlights simple yet effective techniques such as, tailoring your message to your audience's motives (obvious but often ignored), using powerful and simple graphics to convey your message, and demonstrating your data in a broader context to give relative value and meaning to your story. It’s primarily a book about transforming what we do rather than re-engineering our existing services, an idea that may feel uncomfortable to some at first. It’s not a decision-making handbook, but instead one that makes us question how we make strategic decisions and manage our services (in fact, Stern frontloads this lack of detail regarding management tools and techniques). Do we treat the symptoms rather than the problems? Are we willing to really reassess our culture and core historical and traditional services? These are the bigger questions that perhaps we should be asking ourselves. 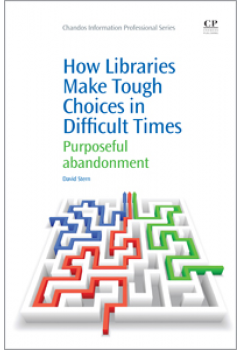 How Libraries Make Tough Choices in Difficult Times: Purposeful abandonment is published by Chandos, February 2013, 226 p., £47.50. 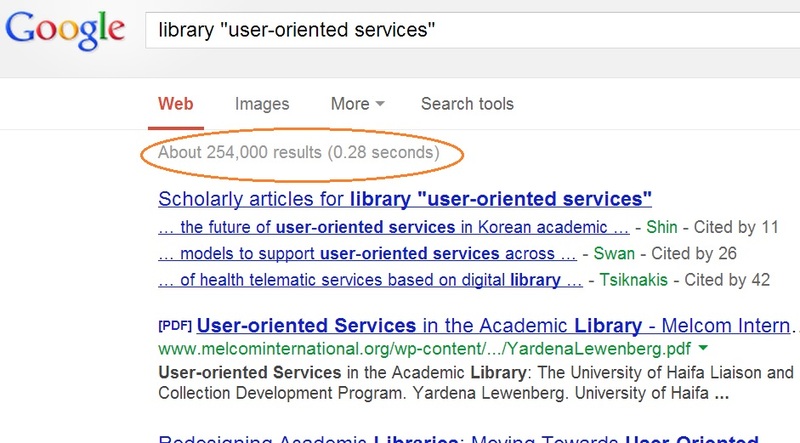 Libraries have user-oriented services. But do we really? Delivering user-oriented services is an objective for all libraries, but sometimes I wonder if this gets interpreted as trying to fit our users in around our services, by picking out the parts of their behaviour and needs that suits us, rather than what they are in actuality. If we really want a customer-focused approach, we need to first look at our users, not our services. Forget about what we do now, or what we may have always done in the past. What do our users want? What do our non-users want? Are we even delivering the kind of services that people want, nevermind the quality? A user-oriented approach does not mean, facebook, twitter, a comment box and an annual survey; it means designing our services and processes around our users in a holistic and integrated way, that produces a unique and high quality user experience. Why? Because a positive user experience is where we can create real and unique value. A powerful sign of service quality is user support and advocacy. This means delivering relevant services that are efficient, useful and engaging, and also being proactive and innovative in predicting our users' future needs. So how do we find out what are users want? We can ask them, but by this I don't mean emailing around a surveymonkey link. It requires a whole-staff approach that views each and every transaction as a potential opportunity to learn about your users. You may think this is impossible in a busy library, but it doesn't have to mean a time-consuming reference interview when somebody asks for directions to the bathroom. Instead, it's a mindset that involves being open to picking up subtle signals and signs from your users, or asking the extra question that gives you more context about their needs and behaviours. This is one of the ideas behind Andy Priestner and Libby Tilley's Boutique Library culture. We can also glean a lot of useful information from observing and analysing their behaviour and looking at our data. When do circulation stats and downloads peak? Where are the bottlenecks? How can we reconfigure our service delivery to improve workflows? Use your website analytics to identify the typical routes that your users are taking when they access your online services. Where are the critical points and hotspots? Where are the exit points? How can we design our online services better to support our users' workflows and help them to find what they want more efficiently? The Customer Journey Canvas from This Is Service Design Thinking is a nice visualisation of this idea. The Canvas is a CC resource that helps identify successful and unsuccessful touchpoints (where users interact with your services because of a particular need). The rest of the book is also excellent, and is a thought-provoking read about how and why we design services. Thanks to everyone who joined in with another very busy #irelibchat, and it was particularly encouraging to see so many first-timers (hopefully they will be back for more :)). The depth of discussion surrounding the competencies, skills and attributes of the modern LIS professional clearly shows the interest we all have in our professional development. It's a complex and divided area in some case however, and as one participant tweeted at the end: "I feel like we only scraped the surface!" Gillian Kerins suggested the topic was also very timely as the LAI Professional Standards Taskforce is currently looking at library competencies. When the work is complete, it is planned to put the competencies on the website for members to access. Perhaps the standout point from the discussion was the broad range of competencies and skills that people mentioned. These included: presentation and public-speaking skills; financial management skills; being comfortable with IT (particularly HTML); being community-oriented and user-oriented; being able to build and develop strong relationships; marketing, promotion and advocacy skills; and project management skills among others. Several participants also suggested you should not be afraid of making mistakes, and be able to persevere and try again. Personally I think this is crucial; once you learn from them, making mistakes is a sign that you are not afraid of innovating or trying to improve things. Failure usually gives you a lot more insight than success does. One point raised was the difference between a solo-librarian role, where you need to have a basic level of a multiplicity of skills, compared to a more specialist role like a systems librarian or cataloguer, where you require a substantial depth of knowledge and expertise, but may not necessarily need marketing, financial, or teaching skills so much, or even at all. @usernameerror suggested personality type can play a role in determining people's preferences for either extreme, which is something i would also agree with. I definitely like the variety and challenge of a more general role and having to learn new skills outside your comfort zone, but having said that, I still like being able to build up a deeper knowledge in a couple of areas that I am personally interested in (for me: service evaluation, research and bibliometrics). Others are far more comfortable working in a more niche role - and it is great to have these experts to call on when you need an answer! Indeed, not being afraid to ask your colleagues fr help was another competency suggested by @mbreen2. An interesting debate emerged over whether we should be focusing more on our unique LIS competencies, and collaborating with other professionals when needed e.g. for financial, or marketing expertise. Specialisation is obviously more efficient (if you'll forgive the economics reference, see Adam Smith and the Division of Labour! ), but may not be practical, particularly for solo librarians, or those working in very small organisations. Some day to day level of these competencies is needed, but perhaps not a real expertise. This was an idea beautifully illustrated by @Joeyanne as "I can edit existing web page but can’t build [a] site". Also some familiarity with these areas also helps us to collaborate better with professionals outside our own field (@trimroy). So can anyone 'learn' how to be a librarian or an information professional? "It's about a mindset. You have to have an innate sense of curiosity and you can't teach that" (@MariaMernagh). "Everyday should be a school day - especially after you leave library school" (@usernameerror). Clearly, no matter what specific skills a particular position may require, a key attribute is a commitment to CPD and lifelong learning. This will give you the flexibility and capacity to take on new and emerging roles and skills, which is particularly important is such a changing profession as LIS. We are looking forward to the next #irelibchat which will probably be the last before the summer break, so all suggestions for the topic for discussion are welcome - tweet us @libfocus. We previously wrote about the popularity of Wikipedia and how libraries are beginning to embrace the idea of capitalising over this fact. Well, here is another clever digital-collections outreach exercise, which very effectively helps spread the news about, and encourages the usage of, carefully chosen open access institutional repository assets and related IR collections. Ball State University Digital Media Repository decided to utilise Wikipedia as a gateway to increase the visibility of their collection on a global scale, and they did so with great effect. Rather than linking on a collection level, Ball State decided to drill down and connect selected Wikipedia entries to 40 individual repository items from their Hague Sheet Music Collection between July and September 2011. The consequence of item-level linking in this instance enables Wikipedia users to investigate further as they are now able to directly access a specific resource that is likely to be of relevance to them. Linking to records from Wikipedia had a considerable effect on user traffic to the Ball State’s repository service. In the year before the link-up, those 40 assets had 1,824 pageviews. One year on and they had attracted a total of 12.956 views – a 610.31% increase. 9,824 of those pageviews originated from Wikipedia. A specific example that highlights the effectiveness of utilising Wikipedia as an entry point and digital outreach tool is a link to the digitised version of the sheet music for “It’s a Long Way To Tipperary” (see the first external link from the Wikipedia entry here). Before linking from Wikipedia, the item received 4 pageviews, whereas 12 months afterwards it received 640 representing an increase of 15.900% in traffic. 582 of those views were sourced from Wikipedia. As a side effect of linking from Wikipedia, overall traffic to the Hague Sheet Music Collection tripled between January 2011 and September 2012. Such figures certainly provide food for thought as to how one’s own IR could potentially benefit from item-level linking from popular digital information services, such as Wikipedia. Many thanks to Padraig Stack for pointing out this case study in the first place. Szajewski, M, 2013. Using Wikipedia to Enhance the Visibility of Digitized Archival Assets. D-Lib Magazine, [Online]. Volume 19, Number 3/4, 6. Available at: http://www.dlib.org/dlib/march13/szajewski/03szajewski.html [Accessed 01 April 2013]. Anyone who knows me, knows that if I am not talking about twitter, I am probably talking about altmetrics (see my previous blog posts). Quite a few people (faculty, clinicians, librarians) have asked me about article level metrics (ALMs) of late, so I have put together a brief overview on slideshare as it is a lot easier to explain the concept of altmetrics using visuals rather than text. It is really only the tip of the iceberg as regards ALMs, but the resources linked to within the presentation will provide a lot of further reading if desired. Feedback and comments welcome (by email, twitter or via the comments below). This week has been an inspiring one for those involved in the Library and Information sector within Ireland, as two conferences were held in Dublin illustrating the vibrancy of the profession. The Joint LAI CILIP Conference took place in Croke Park over two days on the 10th and 11th of April with an evening reception on the 10th in Dublin's splendid City Hall. The second conference was that of the Health Sciences Library Group which took place on the 11th and 12th of April. Unfortunately for me, I was unable to attend both conferences, however, I was able to follow both via Twitter. Excellent 'live tweeting' was undertaken by our colleagues who were actually in attendance and therefore I ended up not missing out on the content of these inspiring conferences. This is the power of sharing - the power of information and the power of our profession. The information on what was taking place at both conferences was relaid in real time - inspirational and engaging presentations, workshops and networking were disseminated via Twitter. You could follow the action via the use of the #laicilip13 #laicilip2013 #hslg13 #hslg2013 hash tags or you can catch up at a later time. Nothing illustrates the vibrancy of our profession and of our own engagement more vividly in my opinion than 'live tweeting'. You don't have to be a cool kid on the block, or straight out of library school to get involved with Twitter and other available social media tools. Technology is the information professionals friend - it is a tool to aid us in our service delivery - whether in a large organisation with dedicated systems librarians or the solo librarians and volunteers that are working within tight budgets and even tighter time frames. If you are not signed up to Twitter and you are working in a library or as an information professional than you should join today. No technical wizardry is required - but an open mind, an Internet connection or access to wi-fi and away you go. 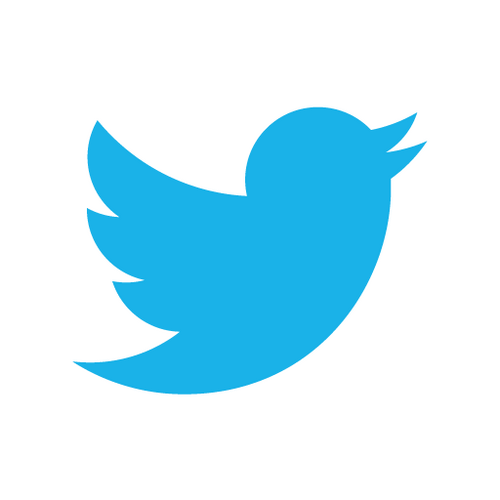 Get involved by following discussions, organisations and people who interest you. There are plenty of library related chats taking place - the organised #irelibchat and #uklibchat - and the informal discussions amongst colleagues and friends.You can use it as a networking tool - it's great for those of us who are shy in person - and it's a fun way to learn up to date information on what is happening out there in the field. You can connect with colleagues in Ireland and further afield. There is a vibrant online community of information professionals, archivists, museum professionals and institutions available to you. One thing is for sure the library and information profession is going from strength to strength here in Ireland - if you are on Twitter you can be more involved and aware of the developments taking place. I was fortunate enough to make this year's HSLG conference as both an attendee and a presenter, and the theme of the conference - Visible Evidence - was both timely and inspirational. Following last year's focus on the findings of the SHELLI report, this year the emphasis shifted towards implementation and the logistics of putting the recommendations into practice. The keynote from Jean Shipman set the tone for the first day, by showcasing some of the innovative projects and roles that the library in the University of Utah has adopted in recent years. Increasingly, books and journals are being removed in order to free up physical space for collaboration, reflecting the Library's emerging role centred on organising people rather than collecting resources. Anne Murphy and Aoife Lawton from the HSLG's SHELLI Working Group (I'll disclose my membership conflict of interest here :)) brought us up to speed regarding the recommendations and actions for establishing a body of evidence, developing staff and services, and identifying champions. The variety of presentations over the two days articulated the breadth of roles within health science librarianship, from upskilling in an academic library context (Donna Ó Doibhlin, UL), strategic planning as a solo librarian (Laura Rooney Ferris, IHF) and the practicalities of designing promotional brochures (Niamh O'Sullivan, IBTS). It drove home the point that as an LIS professional working in HS, you can potentially take the role in several different directions, drawing out the aspects you see as key services for your users now and in the future. At the same time, we have a real responsibility to ensure our services are both informed and driven by high quality and meaningful evidence. Publishing and disseminating our own research can also play a part in increasing our visibility both inside and outside our institution, and Friday morning's session provided an opportunity to hear from three librarians as authors (including myself). No doubt others will be inspired to think about how we can communicate our evidence-base to others from Joanne Callanan's bibliotherapy study and Greg Sheaf's report on integrating and evaluating information literacy instruction for midwifery students. Greg's presentation was a personal highlight, as I am always looking for interesting ways to measure the impact of our services, and analysing search histories from Firefox is an excellent idea I may be borrowing in the future! It was particularly refreshing to get the input of non-LIS professionals also, including Dr Declan McKeown, Consultant in Public Health Medicine and Dr Ian Callanan, Clinical Audit Co‐Ordinator in SVHG. Both presentations served as a reminder to us that we do not work alone and can only continue to deliver and improve our services by collaborating and working with others. Over the two days, the real take home point for me was that each and every one of us has a role to play in both influencing and determining the future of health science libraries in Ireland. Staying the same is simply not an option, and it is up to all of us to reshape our services to drive this change. The snapshots from the presenters showed some great projects and initiatives that are already underway. However, the challenge remains to build on this platform and sustain these efforts in the face of an uncertain future for health libraries. CoPILOT is the Community of Practice for Information Literacy Online Teaching. We are an enthusiastic group of librarians and learning technologists who support other librarians, learning developers and technologists in creating and sharing openly licensed (using Creative Commons licences) resources to teach information and digital literacy. There are ten of us on the Committee (which is now a sub-group of the CILIP Information Literacy Group) and together we organise training events, maintain a website and disseminate information. We also have a mailing list with over 270 members worldwide. 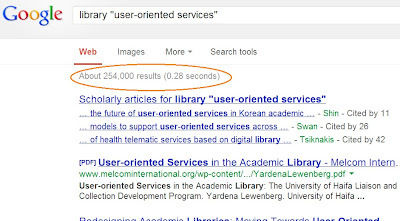 I’ve been a subject librarian in HE for 8 years. When I first started developing teaching resources for my students I wanted to see examples of best practice to help inform my own teaching. As librarians we have a strong professional identity and many well established networks within the librarian community. I see this as a perfect opportunity to share ideas, not only to avoid re-inventing the wheel but also to identify best practice and improve our own teaching. I ran several projects with exciting acronyms (BRUM, ReJIG, ReLO…), all focused on creating and adapting teaching resources so that they could be easily shared with other librarians. In 2010/2011 I worked with Jane Secker from LSE on the JISC/HEA funded DELILA project and after the project was completed we wanted to continue the work and encourage librarians to create and, more importantly, share their teaching materials openly. We ran a worldwide survey in April 2012 that had over 100 responses. We used this as the basis to set up the CoPILOT Committee and start work on what respondents to the survey were demanding, namely training in how to use Creative Commons with their own material and how to find existing openly licenced teaching resources. The results of the survey are available in the report Librarians, Information Literacy and Open Educational Resources: Report of a Survey. As the Committee was being set up, Jane and I ran another JISC/HEA funded project, also called CoPILOT: Community of Practice for Information Literacy Online Teaching: a case study of an international online community. University of Birmingham. This was a 2 month project in which we explored the use of an online platform to share information literacy resources. We have arranged a one day event at the University of Surrey in May (watch out for publicity for this!) which will be a practical event to help librarians adapt their own teaching material and to help them find other existing resources. If the event is successful we will run iterations of it in Northern England, Scotland, Wales and Ireland over the coming year. If you are interested in helping to arrange/run an event in Ireland please get in touch! All materials from the event will be available online using Creative Commons licenses, naturally! We are developing an online community of practice and Jane and I have been at several conferences recently to spread the word and gather ideas on how it should work. We will share links to resources, provide guidance and generate discussion and communication. We will regularly highlight specific ranges of teaching materials and encourage members of the community to put up requests for material they would like to see. Join us! "Modern librarians need to be comfortable and conversant with technology, be willing and able to speak in public, and possess people skills and a commitment to lifelong learning, as the profession and the expertise necessary for success are constantly changing"
Do you have strong communication, I.T., technical, marketing and organisational skills? Are you flexible, innovative, passionate and committed? Can you think on your feet, troubleshoot, collaborate, negotiate and network effectively, and plan strategically as well as operationally? Management skills are sometimes neglected when we talk about librarianship but staff management, financial management, leadership and project management skills are essential in many roles today, particularly as your career develops. What skills and attributes - if any - do you think are essential in LIS today? Which are over-emphasised? Which are under-rated? Does it depend on the type of library / role you are working in? What exactly is it, that makes a good LIS professional, good? Does the concept of The Librarian even exist? Join in the next #irelibchat on Twitter on Tuesday April 23rd at 8pm (two weeks from today!) and share your ideas and experiences. The recently published Horizon report noted that the current trending of learning analytics will become standard fare in education institutions over the next few years. Surely, a plethora of variables affect a student's ability in experiencing a rounded and successful education, and it goes without saying that managing those is by no means a straightforward exercise from a provider point-of-view. The idea, therefore, to carefully and consistently monitor students' engagement with the many different contact points in an education institution is a good starting point. Some illustrative examples of analytic variables include attendance (all types), use of the library (analogue and digital), VLE engagement, personal background (e.g. home or abroad student, age profile, level of language proficiency, commuting distance, etc. ), timetable (shape of student's day), complaints (academic and otherwise), social profile (e.g participation in organised extracurricular activities) among many others. Before bringing up a specific institutional case study which applied analytics as a means to identifying at-risk students, it makes sense to clarify the term learning analytics as "the measurement, collection, analysis and reporting of data about learners and their contexts, for purposes of understanding and optimising learning and the environment in which it occurs" (LAK). What’s the next best action? What’s the best/worst that can happen? Derby's SETL (Student Experience Traffic Lighting) project looked at students' experiences when interacting with the institution. The focus here was on "engagement" analytics through focus groups and interviews with students and staff whereby hard data and analytics initially featured in the background. The project was interested in finding out what genuinely mattered to students from a lived experience perspective and what data analytics staff believe should feature in a student's profile. The initial project questions revolved around 1) what is actually happening to students, how can we find out?, 2) what are the touch points with between students and the institution?, 3) what are the institutional "digital footprints" of our students?, 4) what really matters to students? Effectively, SETL established the requirements for a data dashboard that utilises a traffic-light system (green,amber,red) monitoring individual students' progression and alerting staff about any anomalies that might negatively impact their study journey. Meaningful/informed conversations can then be held between tutors and students based on what Derby calls "engagement analytics". From a library/information service perspective, the collection of analytics is nothing new. Examples include borrowing of books (down to student level), footfall via access control gates (down to student level), IM reference traffic, participation in organised IL instruction classes (down to student level), e-journal use (Athens) etc. The challenge is to break down and pool analytic data from different collection systems (library, registrar, VLE, student services...) into one container which can then be accessed by staff and utilised on a per-student level. Ethical and legal aspects in collecting personalised analytic data must also be considered. There are out-of-the-box solutions which combine generic reporting with predictive analytics. However, they might not suit just any institutional context with regard to conditions on the ground and related requirements. An example would be the Desire2Learn system, which also includes an analytics component. The screenshot on the right illustrates what personalised student engagement data can look like. It is a rounded and student focused approach towards analytics that creates the conditions for an environment of constructive teaching and learning. JISC. 2013. cetis Publications. [ONLINE] Available at: http://publications.cetis.ac.uk/c/analytics. [Accessed 01 April 13]. Essa, A., Ayad, H.. Improving student success using predictive models and data visualisations. Research in Learning Technology, North America, 20, aug. 2012. Available at: http://www.researchinlearningtechnology.net/index.php/rlt/article/view/19191. [Accessed: 01 April 2013].